Two chefs from an award-winning local restaurant are swapping the heat of the kitchen for a demanding cycle challenge. Matt Mason, head chef at the Jack in the Green in Rockbeare near Exeter, and chef de partie Aidan King aim to cover 200 miles in two days to raise money for FORCE Cancer Charity. They will set out from The Jack on Sunday September 16, heading for Barnstaple via Cullompton, Tiverton, Bampton, Exmoor and Minehead. They will overnight in North Devon before returning to Rockbeare on Day Two by way of the Tarka Trail, Okehampton, Exeter, Topsham and Woodbury. 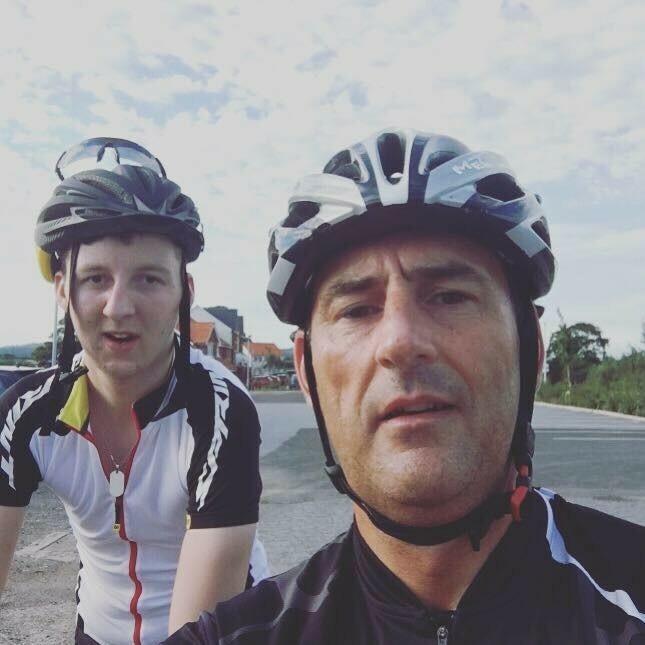 “After raising £450 for FORCE last year with a 130-mile cycle on the flat paths of the Tarka Trail, we wanted to beat our personal best for miles, challenge ourselves further and also raise more money for FORCE. So this year we are doing our #coast2coastforcancer,” said Aidan. He and Matt have highly personal motivations for testing themselves on two wheels. “After losing my father to cancer it gives me a chance to give something back and raise money for projects to help those who are going through this. And to also make sure people get the support needed,” explained Matt. The Jack in the Green are great supporters of FORCE and sales of The Jack Cook Book have now raised more than£1,000 for FORCE. It tells the story that of The Jack transformation from a dilapidated roadside pub into somewhere consistently rated by The Good Food Guide, the AA and Michelin. Written by Matt, the 176-page book features a supporting cast of suppliers, customers and friends and for the enthusiastic home cook there are 42 easy-to-follow recipes spanning 8 different chapters with helpful tips throughout. As part of the pub’s ongoing support for local charities £5 from every copy sold is being given to FORCE.